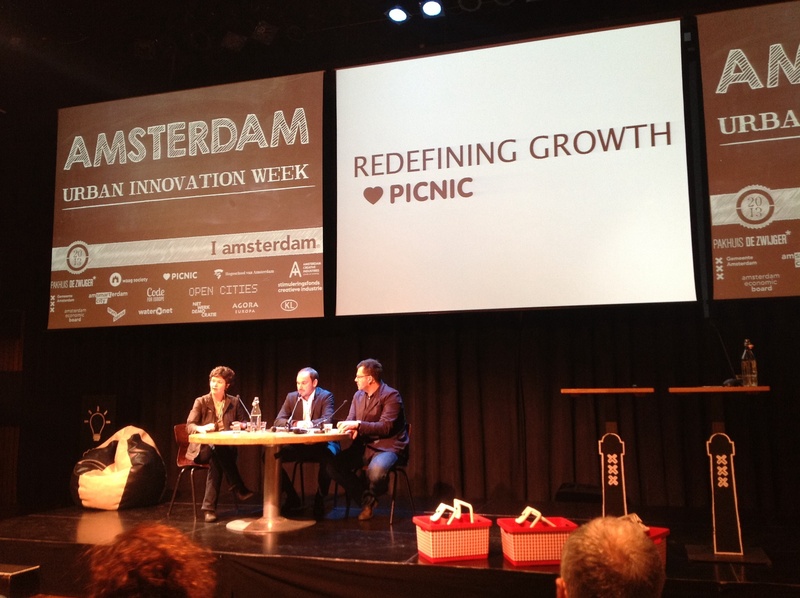 Last week I attended several sessions of Amsterdam Urban Innovation Week. The topics included cooperative enterprises, critique of growth, makers movement and the circular city. Overall it has been quite a pleasant experience to discover things that appeared radical/marginal a few years ago now slowly making their ways into the mainstream of creative practitioners, social innovators and urban policymakers. The concepts of ‘sharing’, ‘openness’, ‘grassroots’ and ‘circularity’ (reminding “Small, Local, Open and Connected” by Ezio Manzini) are perhaps used mostly as buzzwords, without particular interest or awareness in their full political-economy implications, but there is visibly an increased desire and interest in collective, participatory, citizen-driven, bottom-up configurations, outside both Big State and Big Market. One downside of the week: since all the events were organised independently, it seemed to me that the intersections between the topics were rarely discussed —consider combining for instance, open source + urban governance; or cooperatives + makerspaces; or degrowth + local currencies, and you perhaps get viable, sustainable, postcapitalist value production cycles. Ultimately, I am glad that my research can contribute to this ongoing conversation in a meaningful way.